Young and the Restless spoilers reveal Devon Hamilton takes off his wedding ring, showing he’s ready to move on with Elena Dawson and start a new chapter in his life. Young and the Restless spoilers reveal that Devon Hamilton takes Elena Dawson as his date to Abby Newman’s restaurant opening on Y&R on CBS. Young and the Restless spoilers confirm Devon Hamilton acts on his growing feelings for Elena Dawson and asks her out on a date. ‘Young and the Restless’ Spoilers: Devon Clicks With Elena – New Love Interest? Young and the Restless spoilers divulge that Devon Hamilton follows sister Ana Hamilton to discover her secret only to run into new character Dr Elena Dawson. Elena’s introduction on the show revolves around Ana’s hidden agenda. 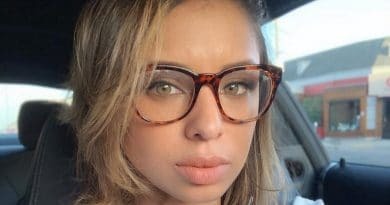 Young and the Restless actress Brytni Sarpy reveals her new character Dr Elena Dawson as head writer Josh Griffith’s first character addition since taking over at Y&R. Young and the Restless has hired GH star Brytni Sarpy in a new contract role, potentially meaning she’ll leave General Hospital.